LeBron James has been dominating on the court for years, and his sartorial skills are just as powerful. Dress for the Day is here to help you emulate King James with your clothing choices. LeBron James has been dominating on the court for years, and his sartorial skills are just as powerful. 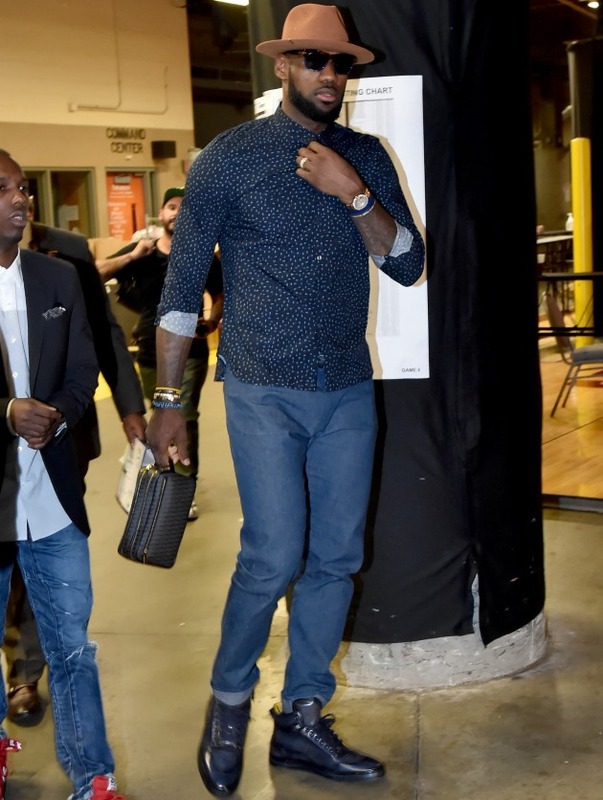 Dress for the Day is here to help you emulate King James with your clothing choices. You can also download the Dress for the Day app to stay sharp on-the-go, or visit the website to keep up on styles for every situation. Be sure to also check out previous editions of the Style Guide for more sporting style tips. The King has entered the building. LeBron’s style has never been fresher, and with the Quicken Loans Arena entrance as his runway, we can’t help but want front row seats to his fashion show. To get LeBron’s look, you’ll first need a head-turning wide brim hat like this. Next, keep the paparazzi camera flashes at bay with some extra dark lenses. Add a blue, printed button-down like this and some blue chino trousers like these. Finish the outfit with some black lace-up boots like these and finally, don’t forget to accessorize with a brown and gold timepiece (under $25!). Fashion mic dropped. Go bright or go home. 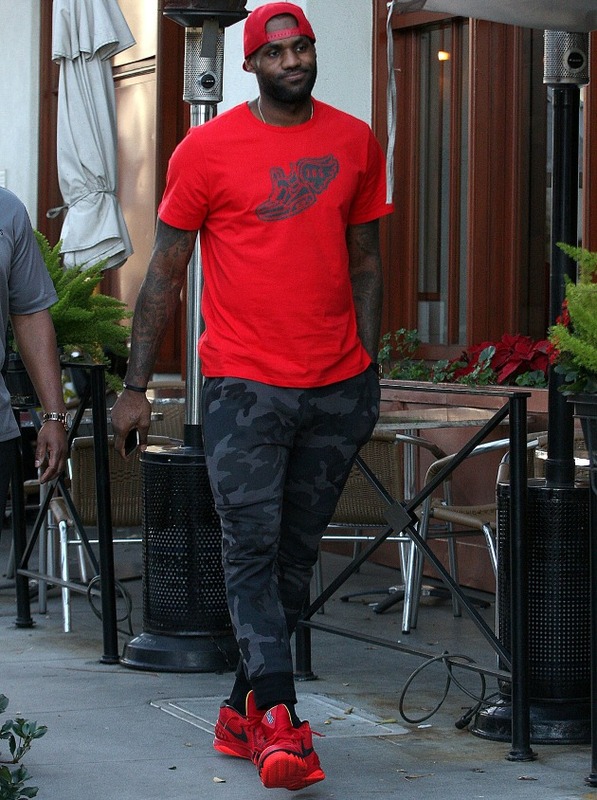 It’s no secret that LeBron loves to make a good statement when it comes to his style and the red accents in this look are certainly no exception. To cop his outfit, start with a red baseball hat like this and a red logo t-shirt like this. The camo trend is here to stay so grab a pair of camo-printed joggers like these or these. Obviously, you’ll need some red Nike kicks like these to keep your strut looking hot hot hot. Fire alarms are going off as we speak. He’s got 99 problems but style ain’t one. 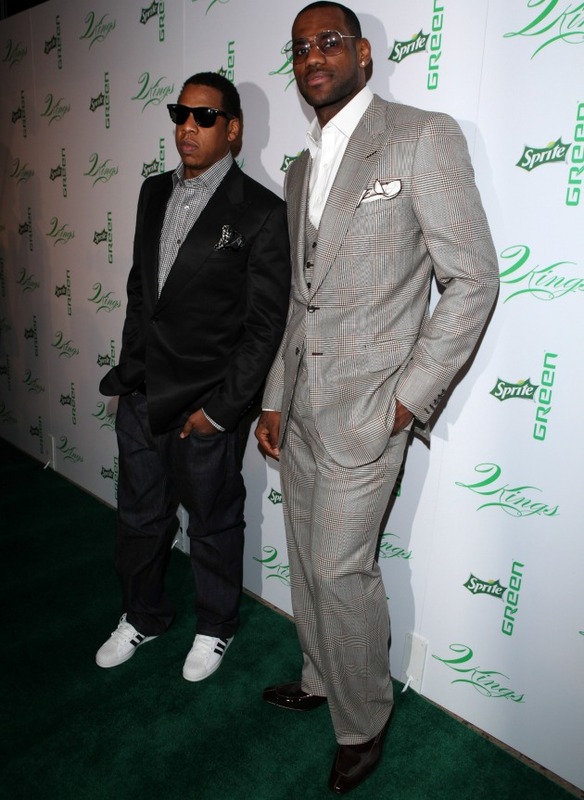 Jay-Z definitely gave LeBron his seal of approval in his big pimpin’ three-piece suit. Sometimes, classic conquers all and this Cavalier is most definitely slaying. Class it up by adding a white button-down shirt like this and a white pocket square like this. Last but not least, some dark brown lace-up oxfords like these will have you brushing that dirt off your shoulder stat. When in doubt, go shirtless. And pantless for that matter. Mr. James shows off his tatted and tight bod while on vacation and we don’t mind one bit. 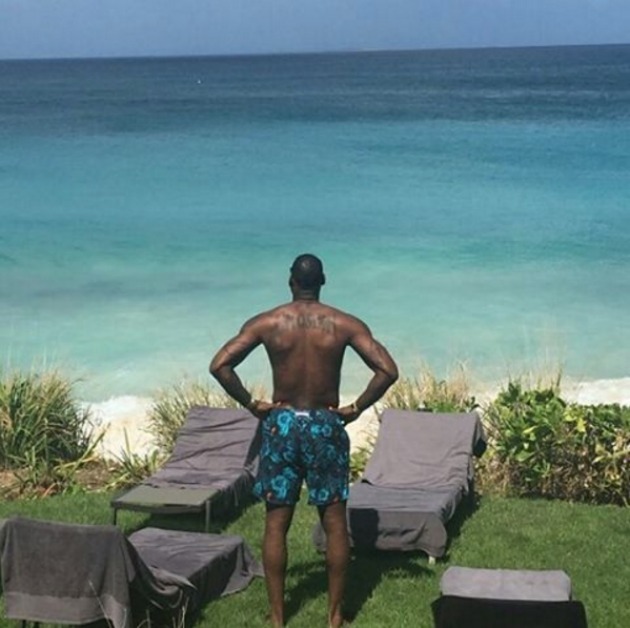 With spring break around the corner, we’ve rounded up our favorite floral print swimming trunks, similar to LeBron’s here, here and here. Complete the look with a spin class, bootcamp and a whole lot of bench pressing. Until next time, the King has left the building.